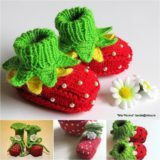 Now, we know that back to school time has come and passed, but as busy crafters who also like to keep ourselves busy with plenty of other things around this exciting time of year. 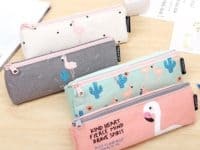 Last year, we made ourselves all new customized notebooks so that we had something we really enjoyed, but this year we decided to turn our attention to our pencil cases instead! As with any craft, however, we made sure to do a little bit of research and look up as many ways to do it as we possibly could before making a decision. 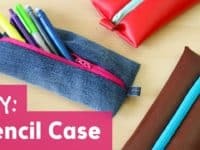 Just in case the idea of making yourself a DIY pencil case is appealing to you just as much to you as it did to us, if not more, here are 15 of the very best and most unique tutorials that we’ve come across in our search so far! 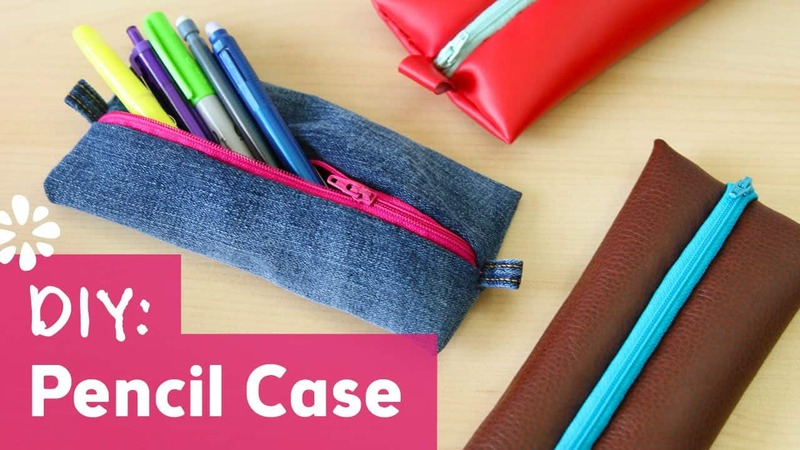 Have you always disliked the way rounded or oddly shaped pencil cases fit in your bag because you tend to carry a lot of things with you at once, since you’re always running off to do things before, after, and in between classes? Then perhaps you’d get along a little better with something like these more flat shaped cases outlined on Sea Lemon! 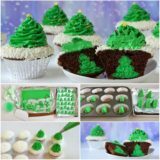 We love the way their tutorial shows you how to make them from several different kinds of thicket materials. Besides being a student, are you actually also an artist who has always loved the way art supplies like drawing pencils and paint brushes can be kept so neat and tidy in something like a brush roll? 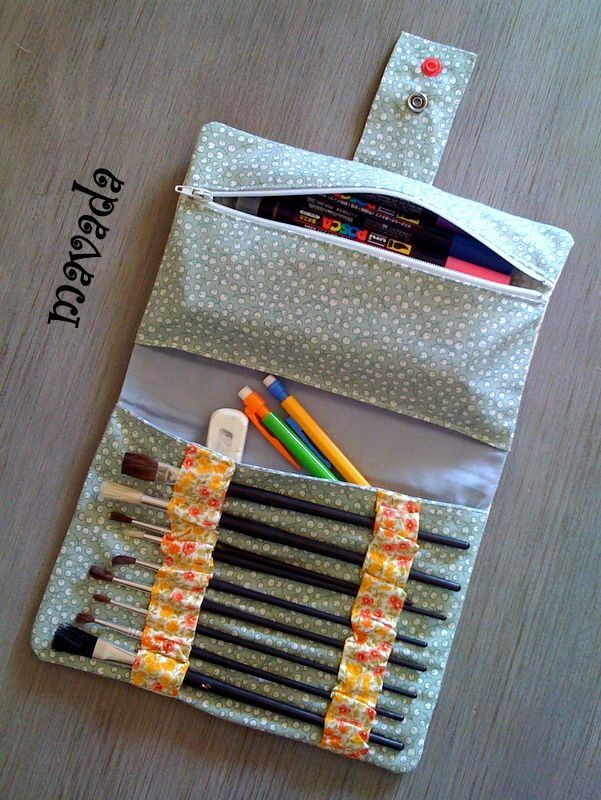 Well, those can be expensive to invest in if you’re looking at the professional kind, but they can also be really useful for keeping writing and not taking or drawing supplies organized in a space efficient way, which is why we were so pleased to come across this fantastic “no sew” DIY brush roll tutorial on Innova Crafts. 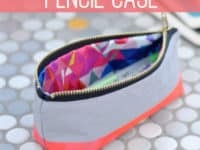 Have you actually always been concerned about the idea of putting your precious writing or drawing utensils in your heavy, crowded bag in something that’s soft sided because you’ve have things like heavy textbook break tips off before, but you don’t often find decent looking pencil boxes in portable sizes in stores? 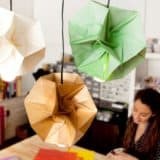 Then we’d definitely suggest taking a look at Instructables to learn about making one of your own from cardboard and scrap fabric. 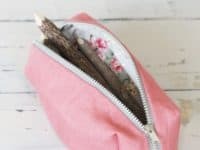 Are you very intrigued indeed by the idea of making your own upcycled materials pencil box but you’ve also always preferred supplies that look a little different to the norm, or perhaps have some kind of unexpected shape to them? 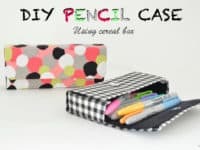 In that case, we have a feeling you might actually be the perfect person to give this fantastic pencil pouch outlined step by step on Miss Debbie DIY a try! It’s just as graphic, just as good for repurposing (it’s made from old flyers) and it still opens like the pencil box that caught your eye, but we really enjoy its cylindrical shape. 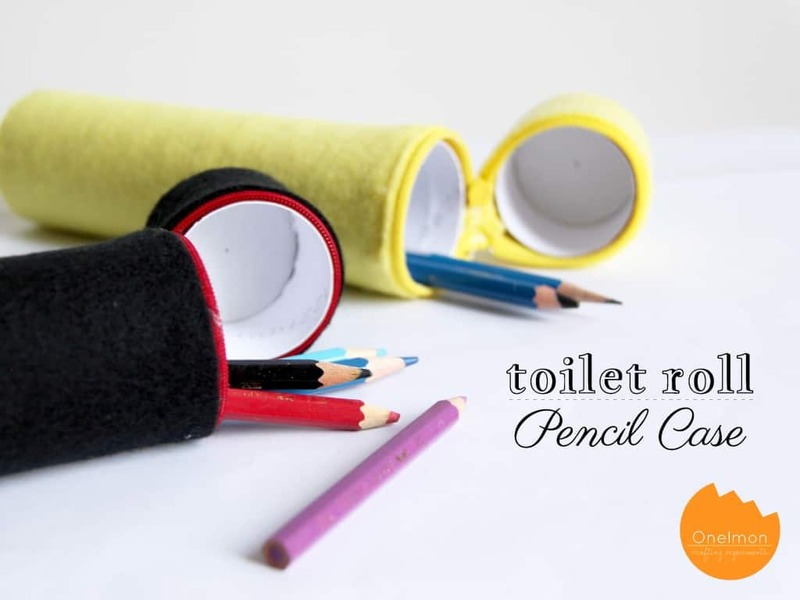 Perhaps you actually only have a very few writing utensils that you carry with you to classes on a daily basis and you’re looking for a slightly smaller or space efficient way to carry them? 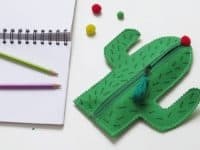 Well, if you happen to have some scrap felt leftover from other projects, or even anything similar, then we think perhaps we’ve found just the project for you! 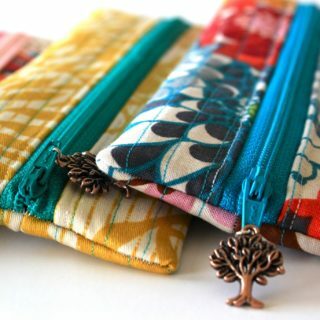 Check out how Martha Stewart made this fantastic buttoning slider pouch in just a few simple steps. What if you’re actually a Jack or Jill of all trades and you have lots of different things that you’d like to carry with you in a case, but you get tired of searching through a single compartment trying to find the particular thing you’re looking for? 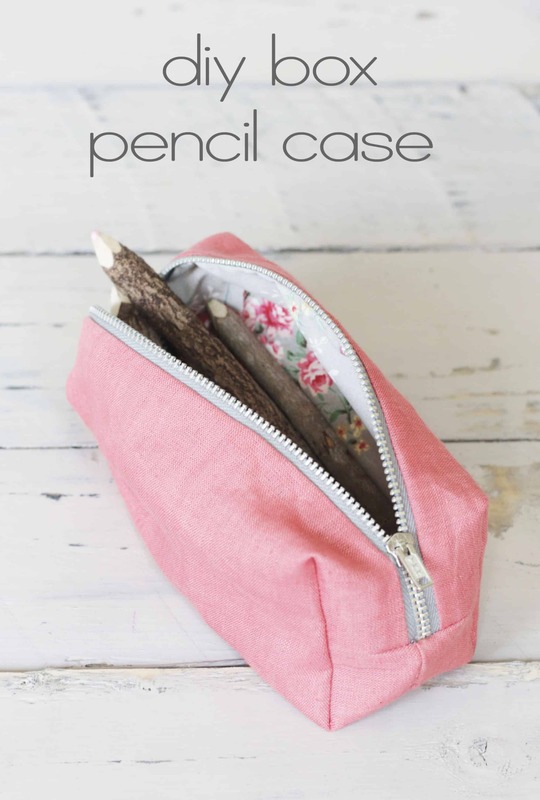 Well, if you’re experienced with basic sewing techniques and you’re open to the idea of a small challenge, we’d definitely suggest taking a look at how La Petite Cabane de Mavada made this fantastic folding case that features a pocket, slides, and a zippered pouch! 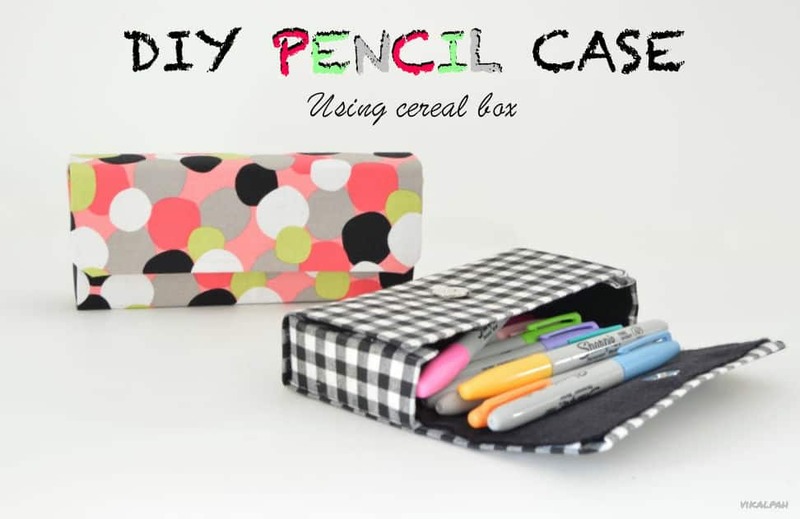 Have you actually beens scrolling through our list and thinking about how, even though you like the look of a squared off pencil box because you think it’s neat and tidy, you’re actually not really into the idea of carrying around a hard sided box all the time because you don’t like the rattling sound the pencils make inside it when you walk? 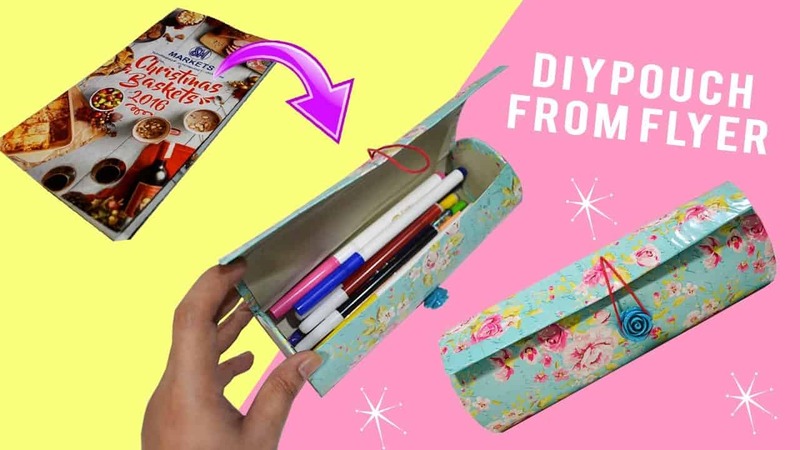 In that case, we think perhaps you might be the perfect person to give this fabric box-style zipping pencil case a try instead! 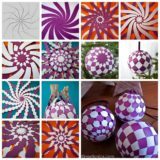 Get the full details for making one of your own on Gathered Threads. 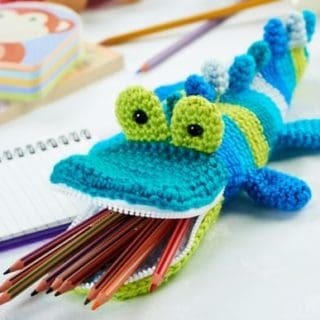 Just in case you’re still scrolling through because you’ve been hoping for a little bit of guidance on using your creative skills to make a pencil case that’s truly novelty and probably couldn’t be found in stores, here’s a funny character idea that we think all your classmates will get a kick out of, no matter your age or level or schooling. 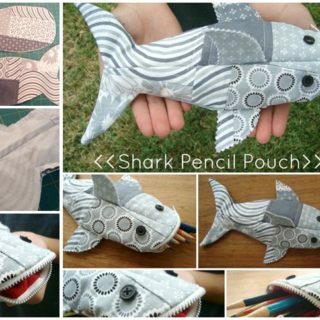 Get step by step instructions for making your very own pencil shark on Handmadiya! 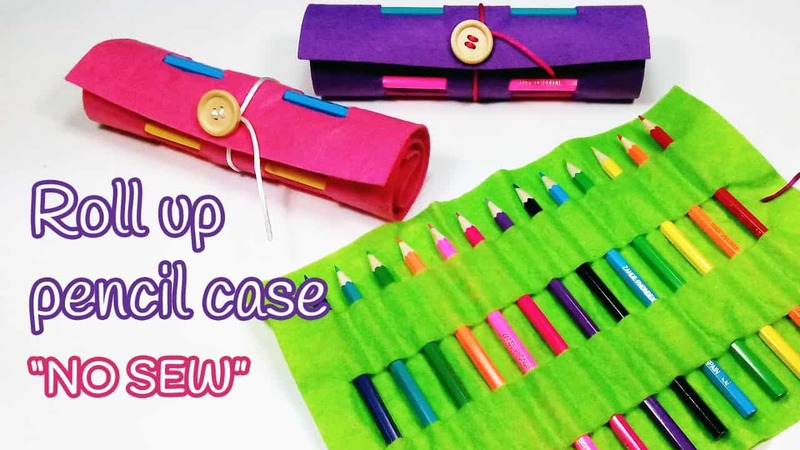 Perhaps you’ve been looking through our list and thinking about how you’re less concerned with the shape or construction of your case, so long as it keeps your pens and pencils in place, but you’re rather find a colour scheme or visual design that really catches and keeps your attention? Then here’s a design that’s both wonderfully bright and slightly subtle at the same time, all for your consideration! 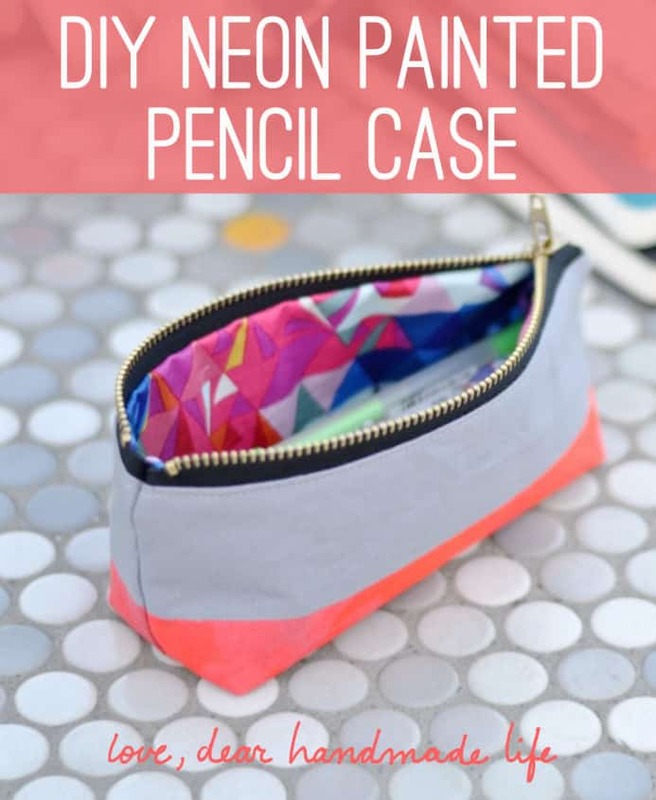 Check out how Dear Handmade Life painted a neon stripe along the bottom and lined the inside with brightly coloured geometric fabric, but made the body of the case from something more neutral, just for good balance. 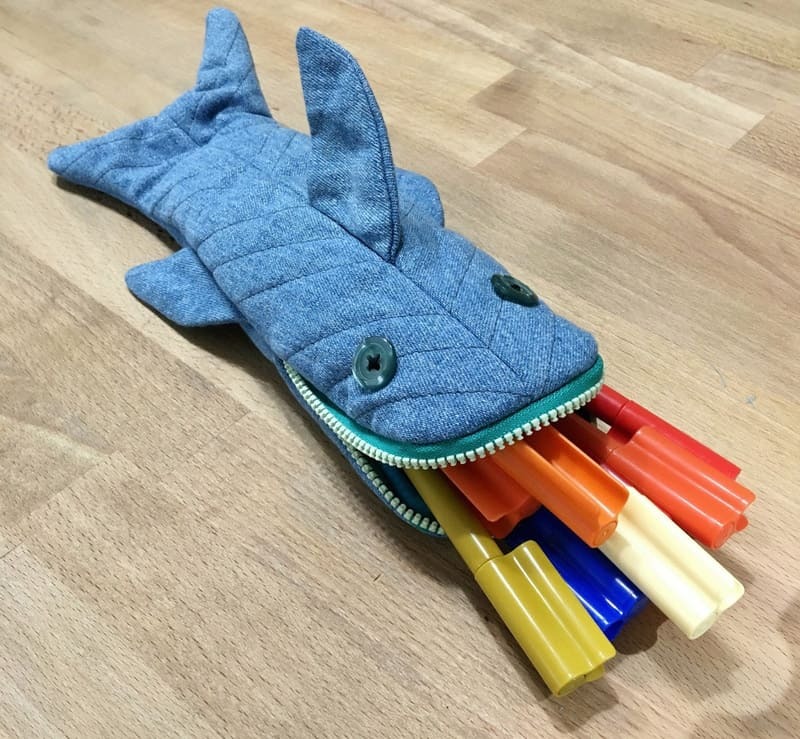 Were you very into the idea of making yourself a novelty shaped pencil case of some kind but you’re just not sure that the shark is quite the aesthetic you’re going for? 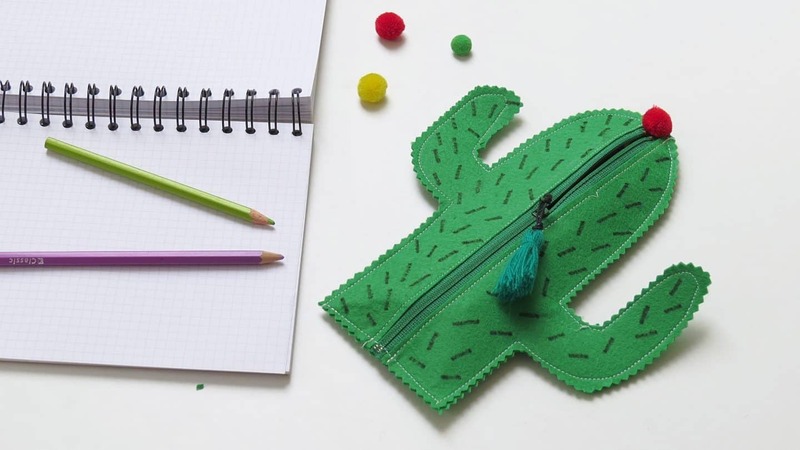 Then we think perhaps you might get along a little better making something like this funny little cactus shaped pencil case outlined step by step on Owlipop! 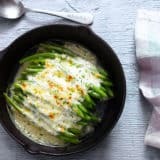 We love the way they even made the edges part of the look by cutting them with zigzag scissors to look like prickly spikes. 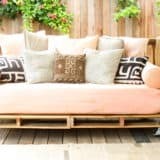 Perhaps the ideas that have caught your attention the best so far have been the ones that involved using some kind of upcycled, recycled, or repurposed material, but you just haven’t seen one yet that’s made from something you have available right now? In that case, we think perhaps you’ll get along very well indeed with this design from One Lmon, so long as you have an emptied toilet paper roll and some felt at hand! 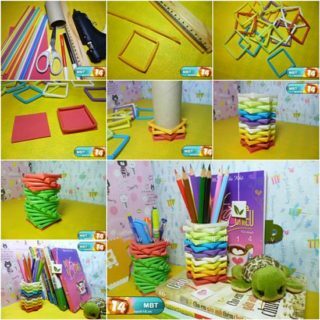 This tutorial is so easy to follow that even kids could help with making pencil cases of their very own. 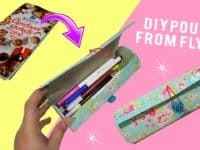 Just in case you’re still scrolling in hopes of finding a novelty or kitschy looking design but you’d prefer something a little more pop culture referenced, here’s a DIY pencil case option for the social media lovers out there! 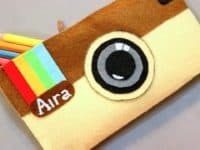 Aira Tran guides you step by step through the process of making a simple rectangular pouch with a zipping top that looks just like the Instagram logo. 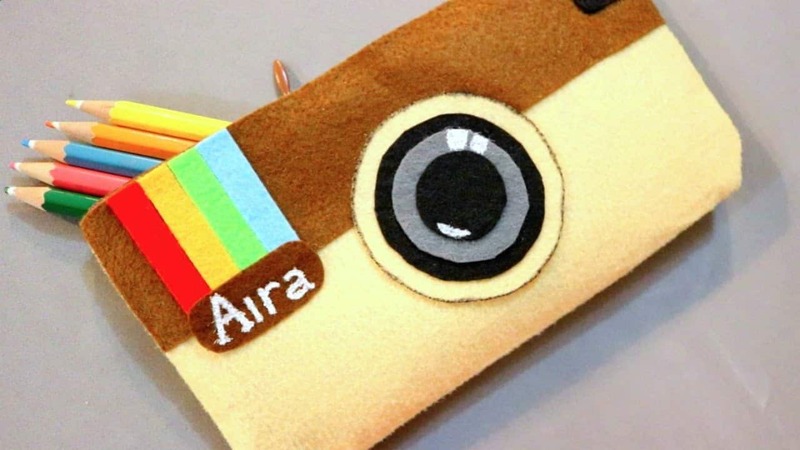 We’re social photo lovers as well, so we think this idea is rather adorable indeed. 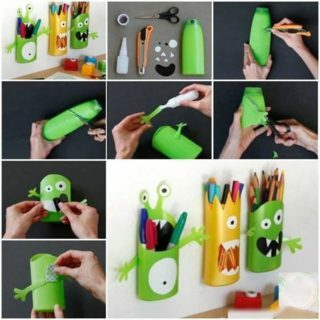 If you’re going to put in the time and effort it takes to make an entire pencil case from scratch, would you rather make something that’s really unique and crafty, and that will perhaps catch the attention of people around you as well? 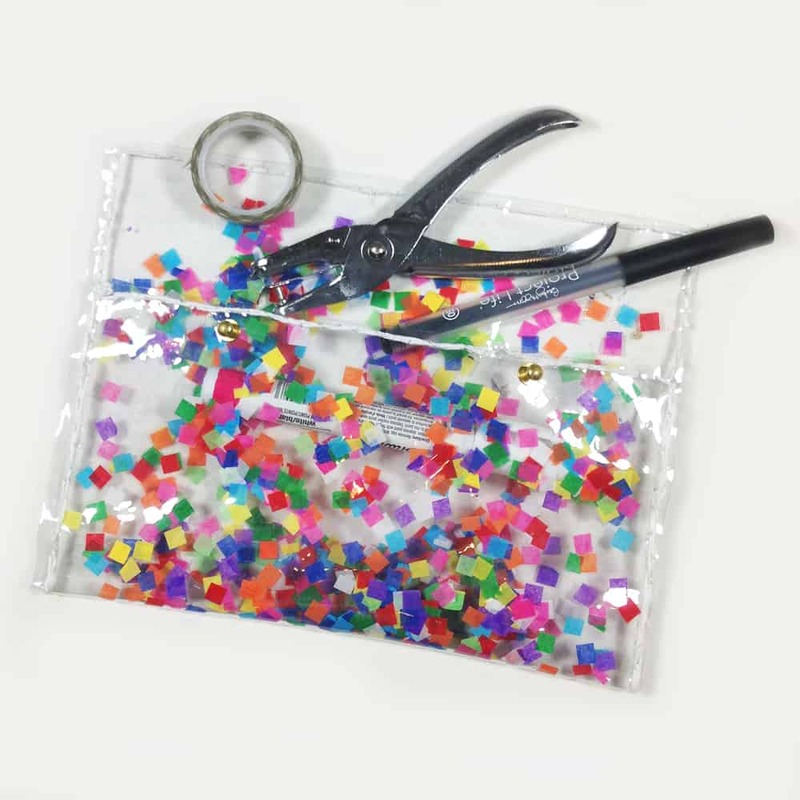 In that case, we’d definitely suggest taking a look at how The Paper Curator made this fantastic clear plastic pouch that has been filled between the layers with colourful confetti! We love the way the confetti moves around if you shake the pencil case. It’s like a small party every time you need to take notes for class! 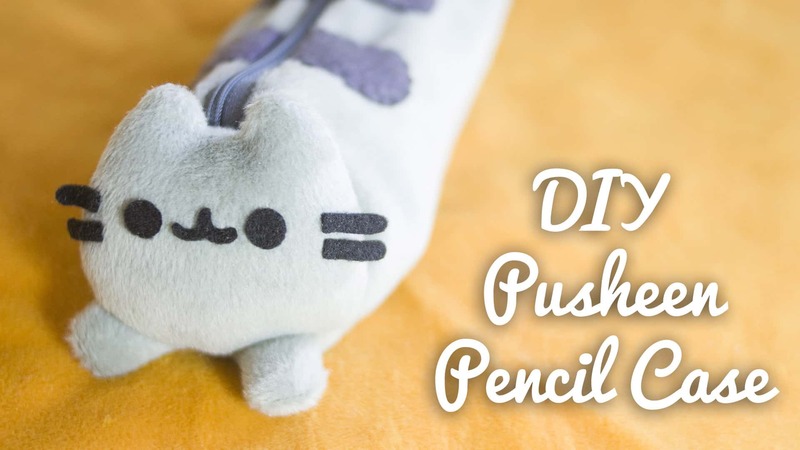 If you’re going to make a novelty pencil case from scratch, would you rather make one that’s got a little more character to it, perhaps quite literally by making one that looks like a recognizable character? 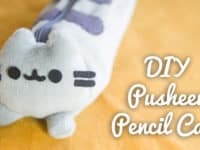 Well, cat lovers rejoice, because I Wear A Bow is here with a tutorial that shows you all the necessary steps for making a wonderfully cute and super soft pencil case that looks just like the cartoon Internet cat Pusheen! We think this design is so cute we practically want to snuggle it. 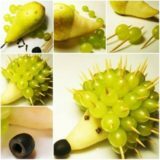 Perhaps you’re actually more of a handicrafter with a little bit of experience in small woodworking projects and you’re looking to make something that requires a little more patience and skill? 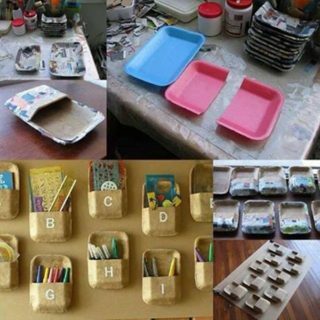 Well, we think this project might be better for someone who works at a desk and wants to keep their writing utensils organized in one spot on their desktop rather than carrying it around from class to class, as wood can be heavy, but we couldn’t resist including it anyways! 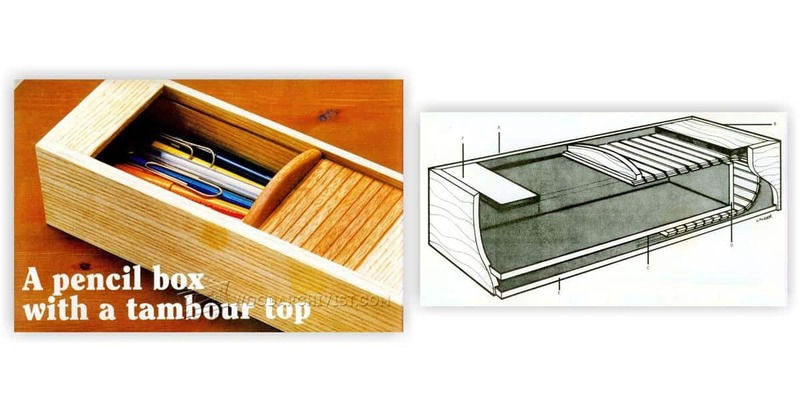 Check out how Wood Archivist created this fantastic wooden pencil box that features a tambour style top that we think you’ll be pleased to learn isn’t actually as difficult to make as it looks! 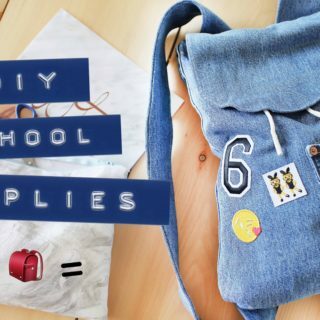 Back to School with DIY School Supplies!